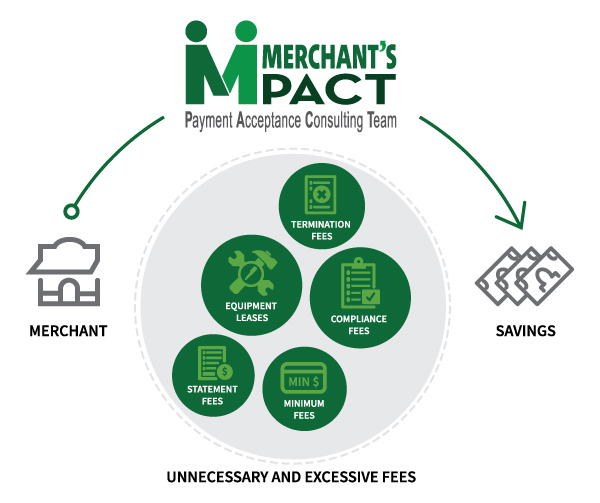 Merchant’s PACT is an independent advisory company with expertise in pricing dynamics, product solutions, and contract terms and conditions within the payment processing industry. They help businesses save money and gain control of their processing relationship. Their services include: protection against price increases and billing errors, improvement of pricing, terms, and conditions, and direction on the best product solutions. Rates and fees are always changing and increase over time. Pricing is not transparent. POS systems and terminals are often sold or leased for an excessive profit. Additional fees are added and mislabeled. The sales representatives typically do not control your pricing, the processing company does. Your business may have an unnecessary POS system, terminal, ecommerce solution, and/or mobile payment device. Processing companies automate price increases and billings for their thousands of clients and errors happen. It’s easy with their help. ... they can negotiate with any provider. ... they audit your monthly processing statements to ensure there are no rate increases and check for billing errors. ... unless you would like new equipment. ... they help manage your processing relationship so you can focus on growing your business. If you're interested in a free consultation or would like to learn more information about Merchant's PACT, please click below to get started. Talk to a business banking specialist? 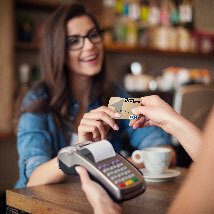 Want more information about our Merchant Services?